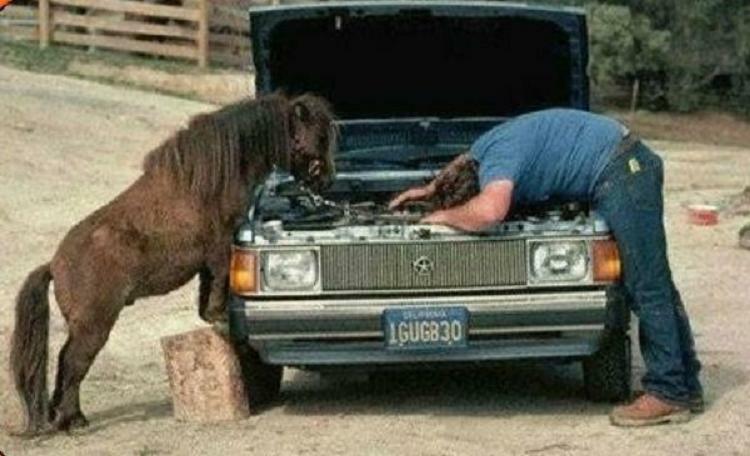 Horse Power is a term used to measure the strength of a motor. 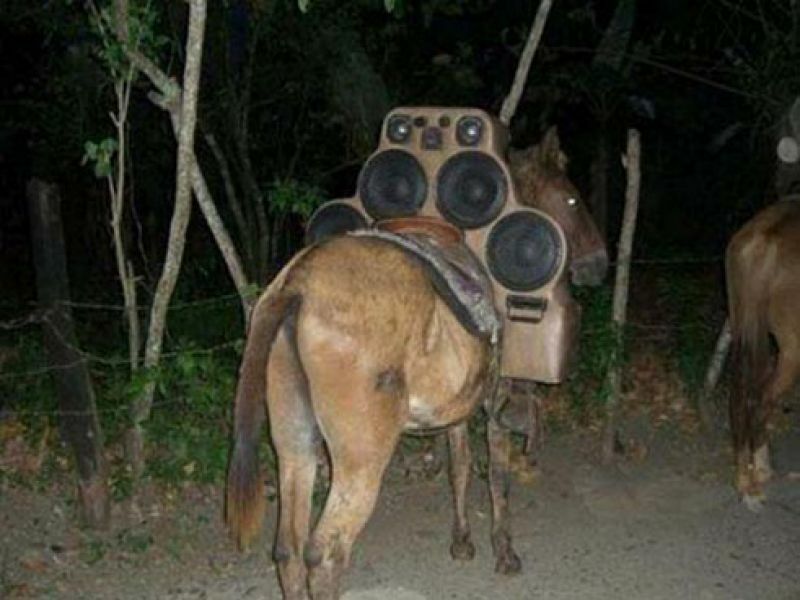 How many horses would it take to create such power. But some people too this term a little too literally… Check out 21 hilarious photos – all from real life – with vehicle-animal hybrids. 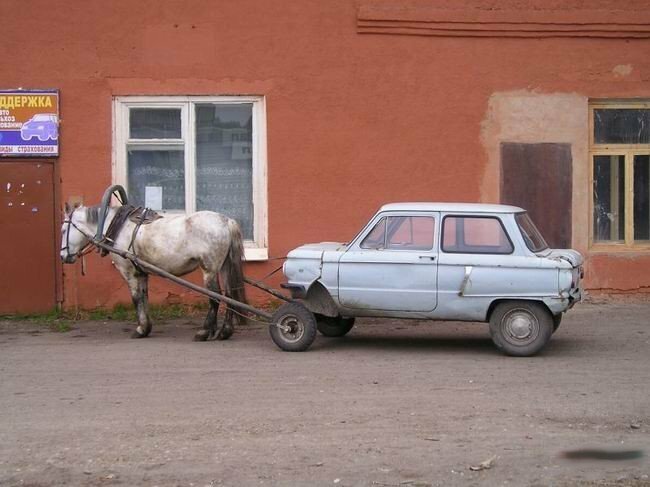 Cars and trucks pulled by a horse, donkey, camel and a cow… Funny, enjoy! 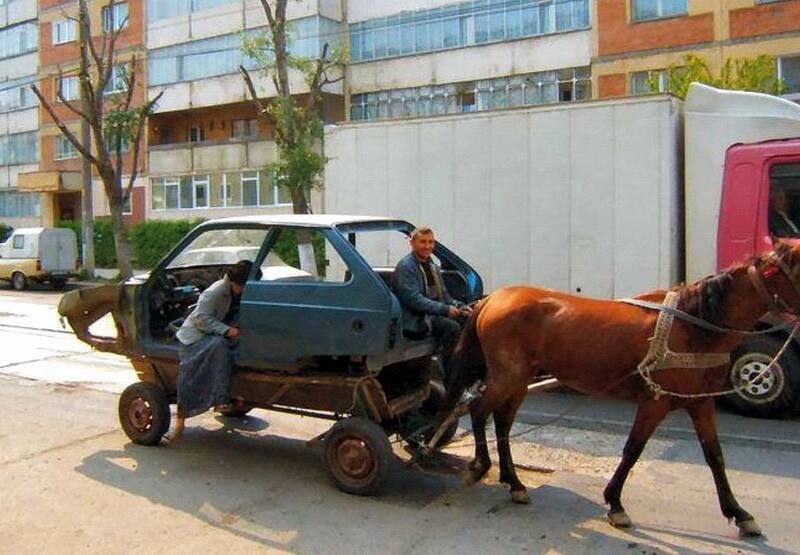 Yes, in the absence of a motor, a horse can pull a car. 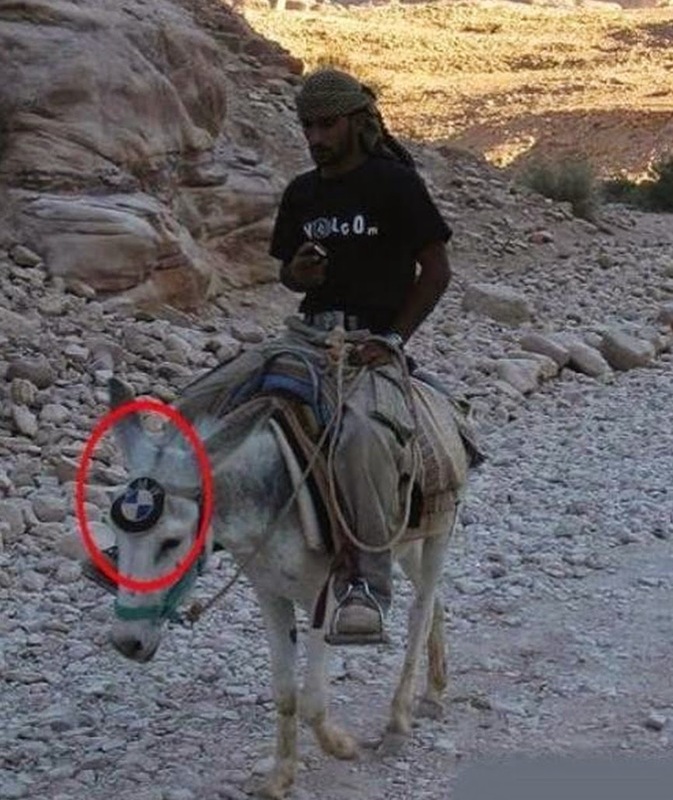 That’s true horse power! And if there’s no motor, why keep the front part? 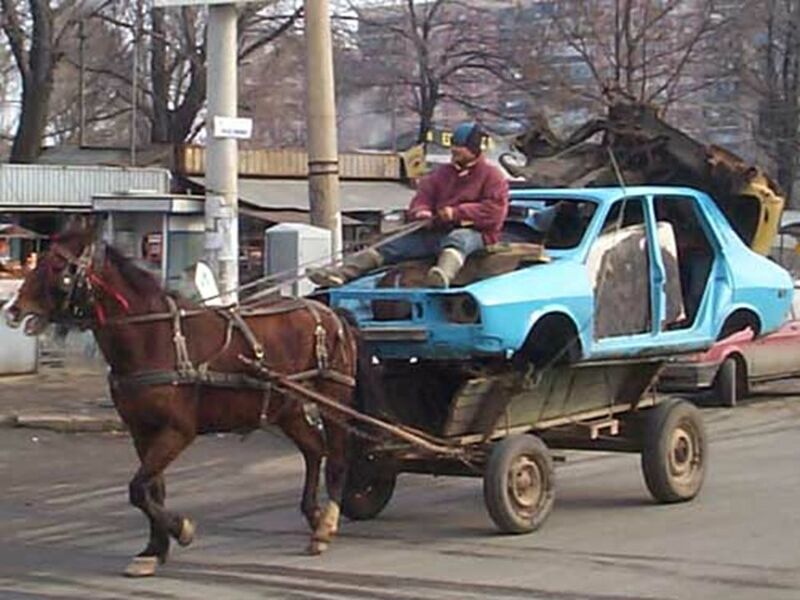 Take half a car and connect it to a horse. Sitting on a car, the horse does all the work. What a life. Horse pulling my car, girl in the back, smile on my face. 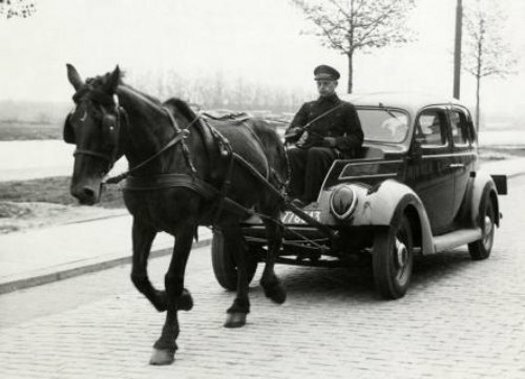 For a fraction of a moment in history, horse power was a literal term. Take a look at this antique animal-car hybrid. 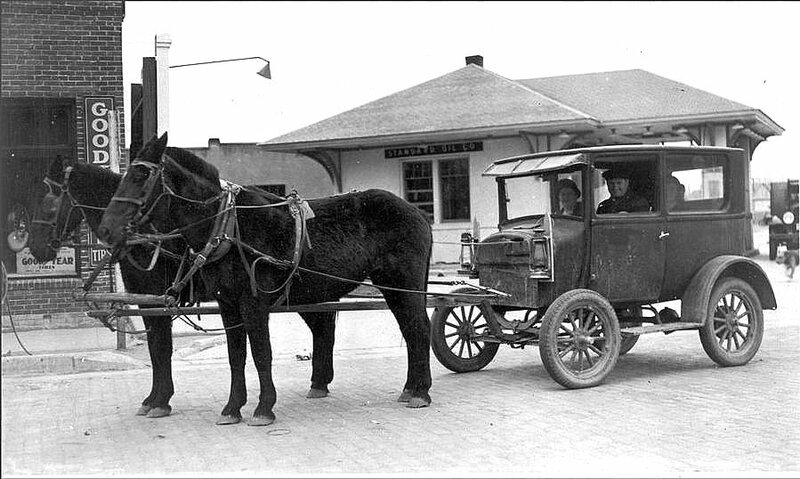 Anntique animal-car hybrids started a long time ago… It made sense. 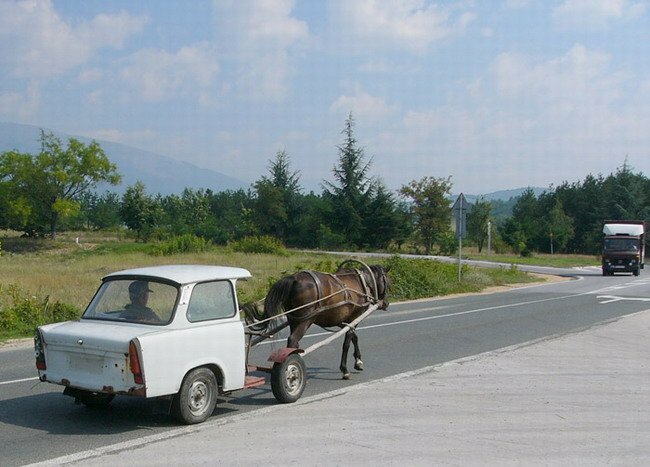 In some parts of the world, this horse car connection comes natural. This is less natural. 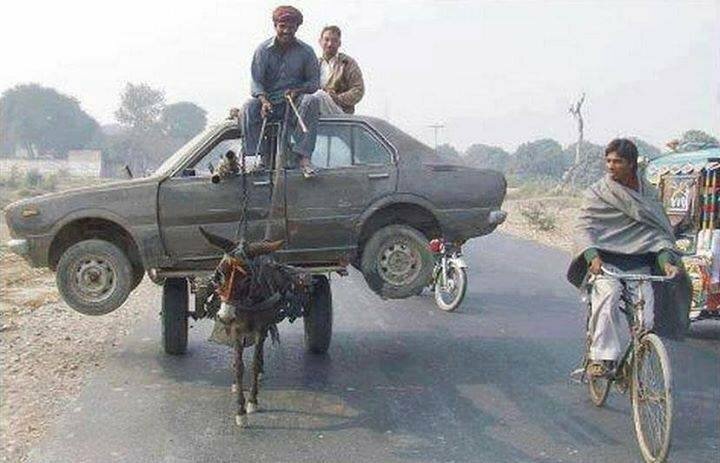 The poor donkey needs to pull the car. 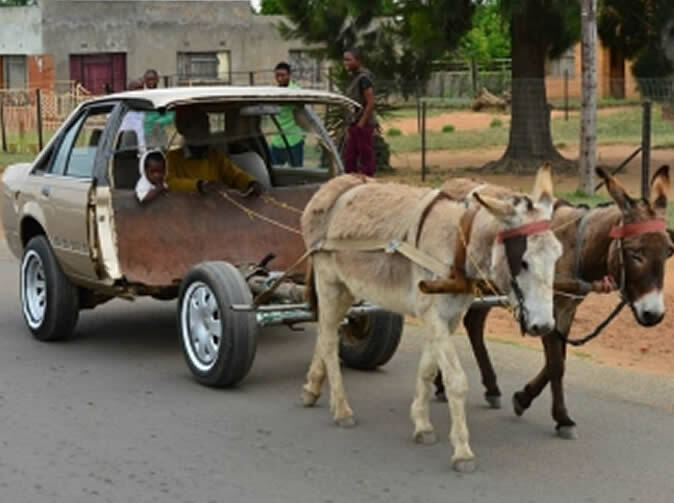 And if you can use a donkey to pull a car, why not many donkeys together? Let’s take it to the extreme. 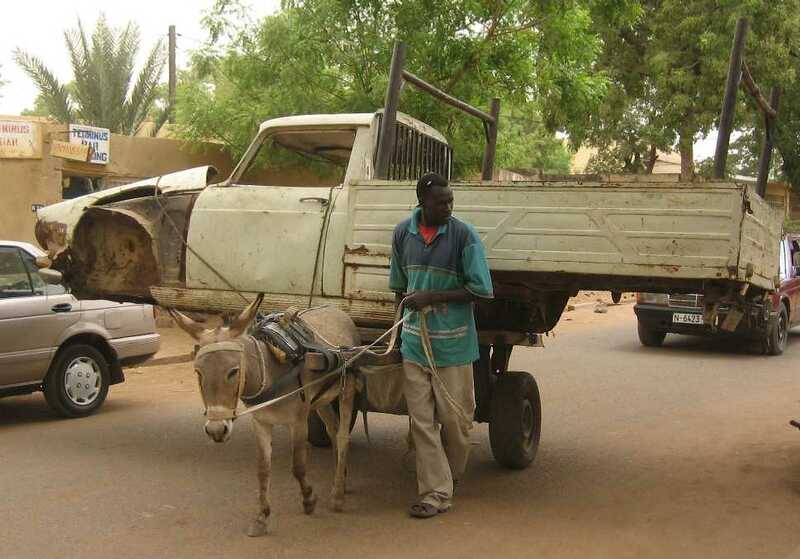 This donkey is pulling a truck! 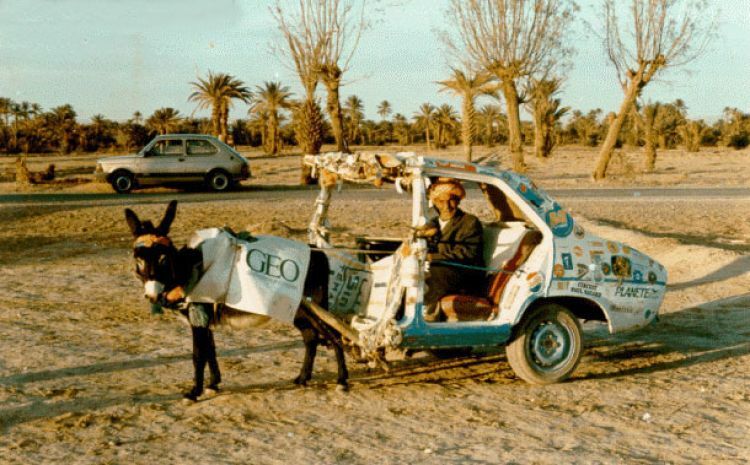 Two donkeys, two guys, half a car. We had a horse pulling a car, donkey car and even cow truck. 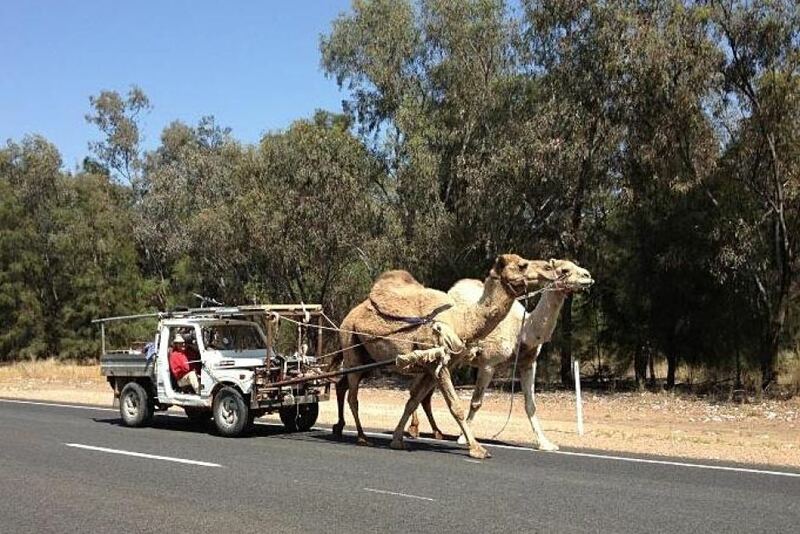 The next stage in hybrids is car camel power! 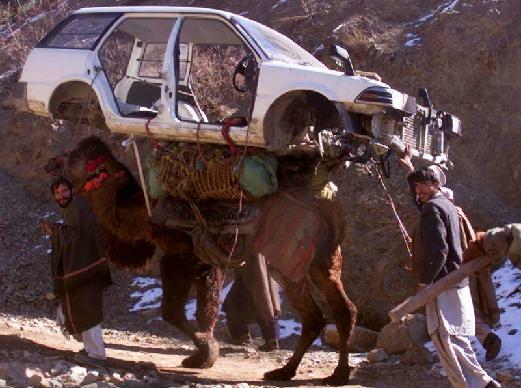 Yes, the camel can easily carry this car. 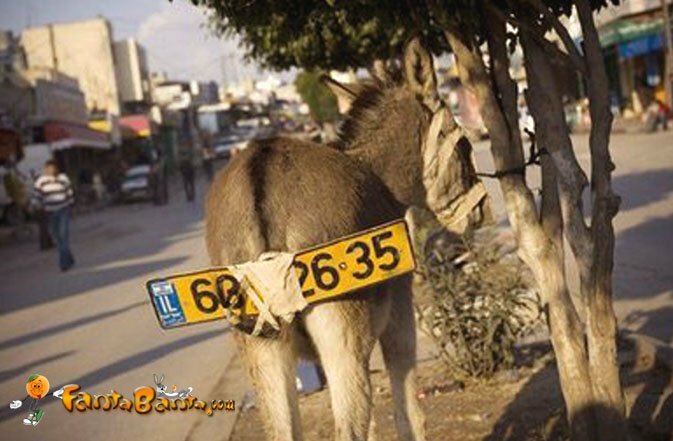 Some people are nicer to their donkey. 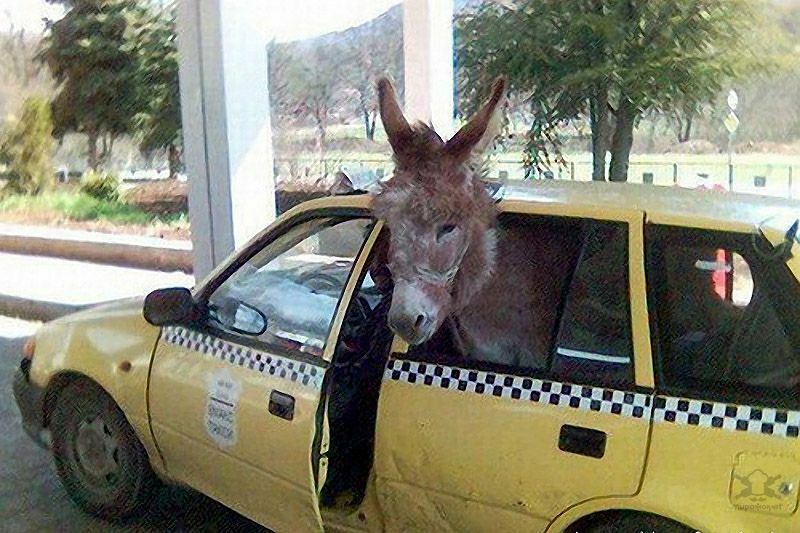 They let the donkey sit in the car. 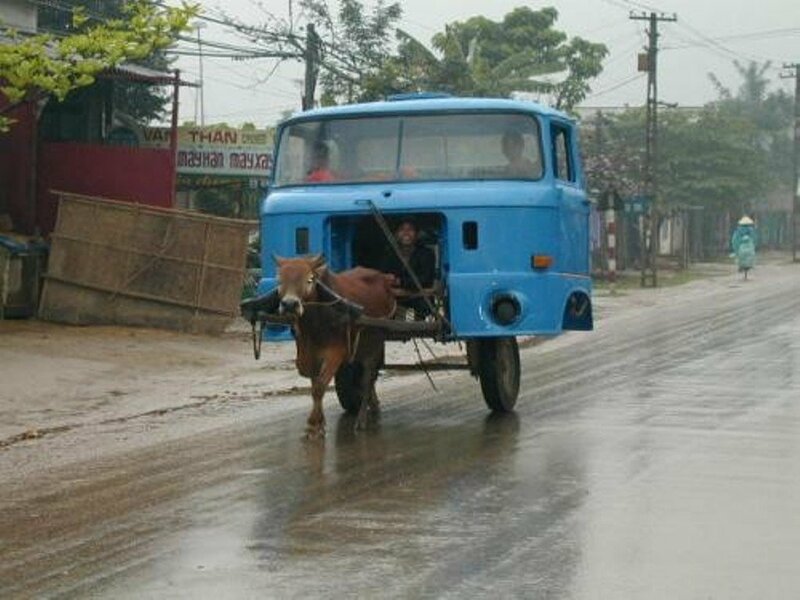 This collection of funny photos of literal horse power vehicles was curated and edited with the help of Google. Some of these brilliant photographs are shared all around the social web. If you find your very own photo or simply want to add specific credit – sure! Simply drop us a line and we’ll be happy to add the details. If you’re a animal lover and you want to educate your children to follow your footsteps, take a moment for inspiration and watch the cat stuck video. For more natural amazing photos, don’t miss this great post with photos of beautiful clouds like you’ve never seen before. 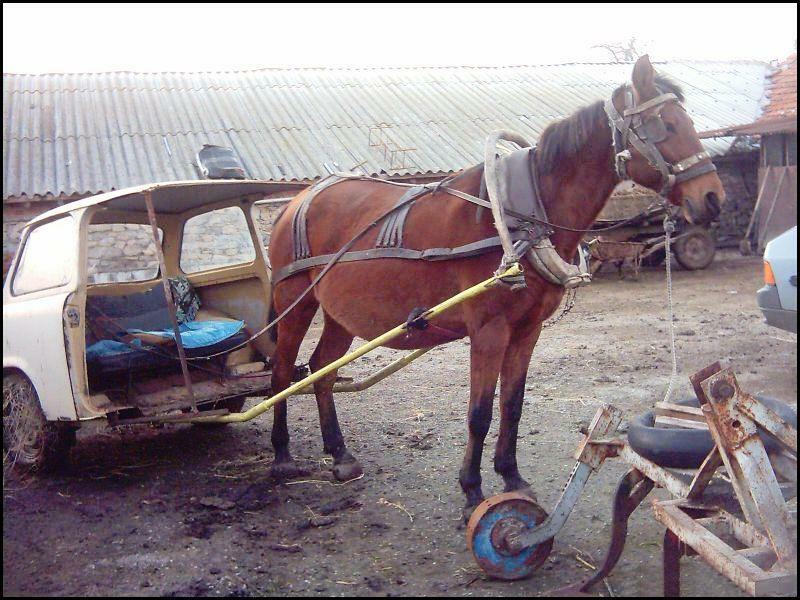 Here at Briff.me, knowing that our precious time together on Earth is waaay too short for a long feed, we bring you the best of the best, like this special briff about funny horse power living vehicles. If you want to get more posts like this, click like on the Briff.me Facebook page.